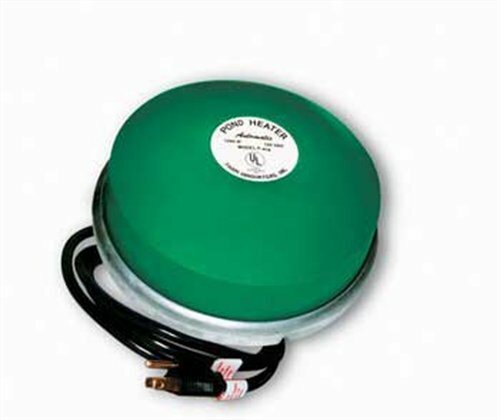 "Aquatica Plus UK ships Farm Innovators 1250 Watt Premium Cast Aluminum Floating Pond De-Icer P-418 from Amazon.co.uk. Amazon.co.uk has fast shipping in the UK and often free shipping on pond and aquarium supplies. Add to your basket now while supplies last to avoid delays." Constructed of patented cast aluminum for ultimate efficiency and safety, this deicer is designed to keep a small hole open in the ice to remove harmful gasses. Safe for use in all ponds. Works great even in subzero temperatures.